When Clayton Guyton moved to East Baltimore in the early 90’s, he found a community paralyzed by fear, the sound of gunfire punctuating their days and nights. Clayton’s new neighborhood turned out to be a killing ground with a thriving drug trade that was responsible for much of the city’s annual body count of 300 homicides. 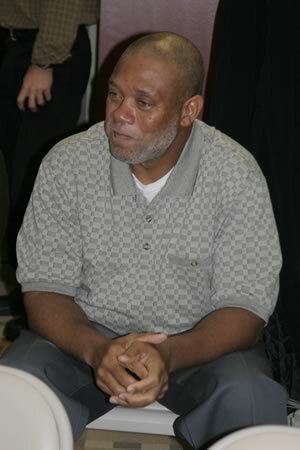 In 1998, working nights as a correctional officer at Maryland Penitentiary, Clayton began devoting his days to giving teenagers an alternative to the drug violence decimating the community. He and three friends reclaimed an abandoned building used by drug dealers and opened the Rose Street Community Center. Clayton recruited young people to clean up the streets, alleys and vacant lots, launched a summer school enrichment program and, with a colleague, mounted an outdoor exhibit on African American history. Working closely with local police, Clayton and his friends courageously established a physical presence on the corner of Rose Street and Ashland Avenue, the epicenter of a notorious open-air drug market. The dealers sent their own message. Late one night in May 1999, the center was torched and it burned to the ground. In response, Clayton and a colleague pitched a tent on the street corner and stood watch around the clock, seven days a week. His team took turns working in 12-hour shifts and, after six tense months, the drug dealers started avoiding the block – a few even stopped by to ask for help. A new center was reestablished in two adjoining row houses donated by the Historic East Baltimore Community Action Coalition, right next door to the one that had been destroyed. For the past three years, with the help of the Abell Foundation, Clayton has expanded the Rose Street Community Center to serve close to a thousand community members and opened an 40-bed transitional facility for recently released prison inmates. Weekly stipends, paid to acknowledge participants’ commitment to give up life in the streets, have enabled more than 400 to pursue education, job training and drug treatment. Clayton starts his day jogging around a nearby high school track with the men who live at Rose Street. The center is open all day, providing a safe space where neighborhood kids can get tutoring and homework assistance. Every evening, Clayton monitors the progress of the ex-offenders, asking each man what he did that day, offering encouragement and advice and firmly maintaining discipline. A physically imposing man with a gentle manner and a soft voice, Clayton has the ability to compellingly communicate his vision of a better future, one in a thriving community built on the hard work and spiritual conviction of engaged citizens. A powerful symbol of resistance to the devastation caused by drugs in urban America, Clayton put his life on the line to transform a dead-end of violence and despair into a road to hope and opportunity. “If you are firm in what you believe,” he says, “you show it.” Clayton Guyton has clearly shown East Baltimore, and all of us, the high stakes of such belief but he has also proven – against long odds – the redemptive power of its love.